After working at Target, Johnson was hired by Steve Jobs to help build its retail division. In a few years, he made it into a billion-dollar business. 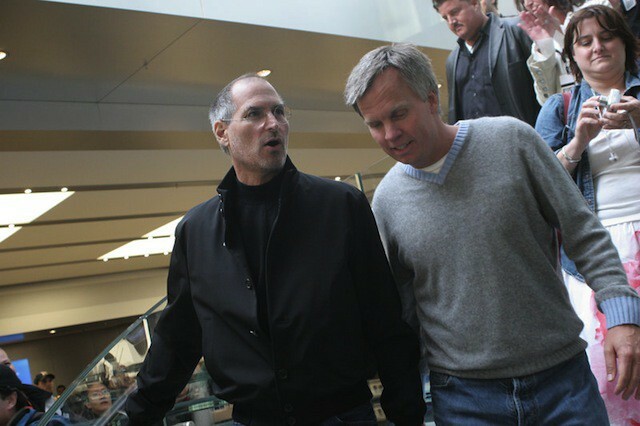 In 2011, he left Apple to become the CEO of J.C. Penney. He left J.C. Penny in 2013 after internal culture clashes kept him from implementing an Apple-like model for the struggling retailer. The timing of Johnson’s departure from J.C. Penny and Apple’s hunt for a new retail chief led many to believe that he might return to Apple. That didn’t happen, and Tim Cook hired Angela Ahrendts from Burberry instead. During his chat at Stanford, Johnson described working at Apple as the “best career decision I’ve ever made.” He was the only retailer at Apple when the first stores launched, and he worked closely with Steve Jobs at the time. When he designed the stores, Johnson said it was all about creating a “great experience for the customer.” That meant the stores’ locations needed to be close to peoples’ everyday travel routine, hence why there are so many Apple stores in malls and shopping strips around the world. An interesting bit of history is that when the first Apple stores launched, 97% of Americans still had dial-up internet. Apple offered free hi-speed broadband to “create a place for communities to form,” according to Johnson. It was an era before smartphones, and Apple stores were some of the only public places people could go to check their email and so on. It also showed customers how fast the internet could be, which subliminally associated the Apple brand with a more premium experience. The public persona of Jobs has mostly depicted him as a harsh dictator who obsessed over every detail. Johnson seemed to disagree with that idea. Since Jobs let Johnson get to know him personally, Johnson would start to instinctively know what Jobs would want in a given situation. The rest of the hour-long interview is worth watching if you have the time. Johnson starts talking about his time at Apple around the 17:50 mark.